Happy Bloggers Challenge Friday! 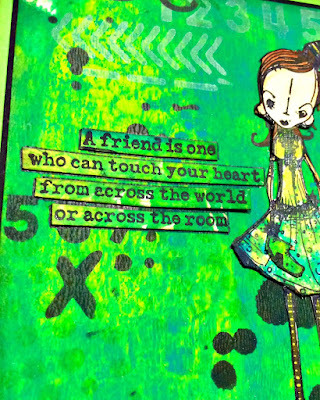 Thanks to those who played along with the Ovals or Circles Challenge, the challenge this week is Stencils. 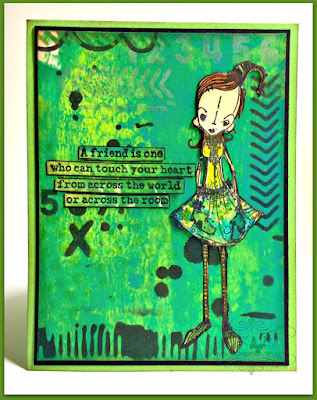 Inspired by the Stampotique Designers Challenge (use only two stamps), I created a Mixed Media card. 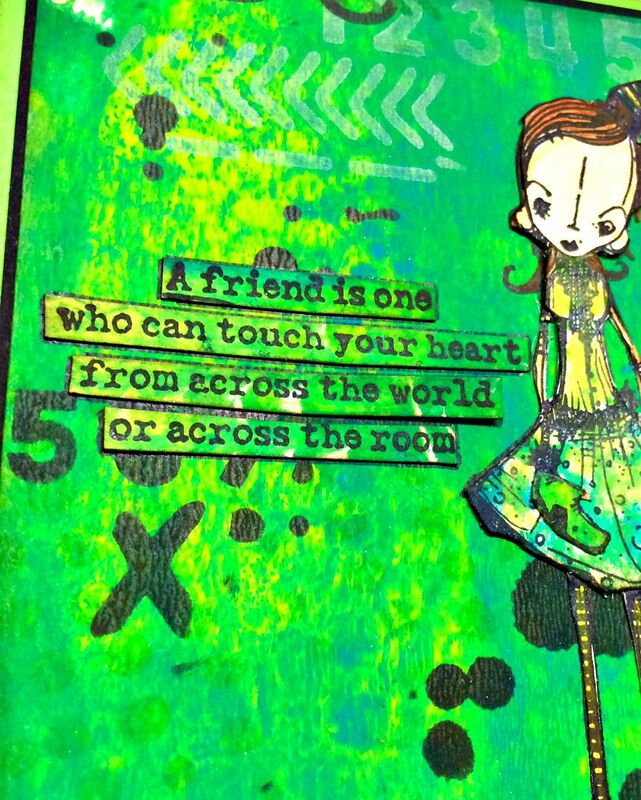 I used a leftover background panel, then added additional stenciled layers using Distress Ink and The Story stencil from The Crafter's Workshop. Here's another view of the layered stencils. 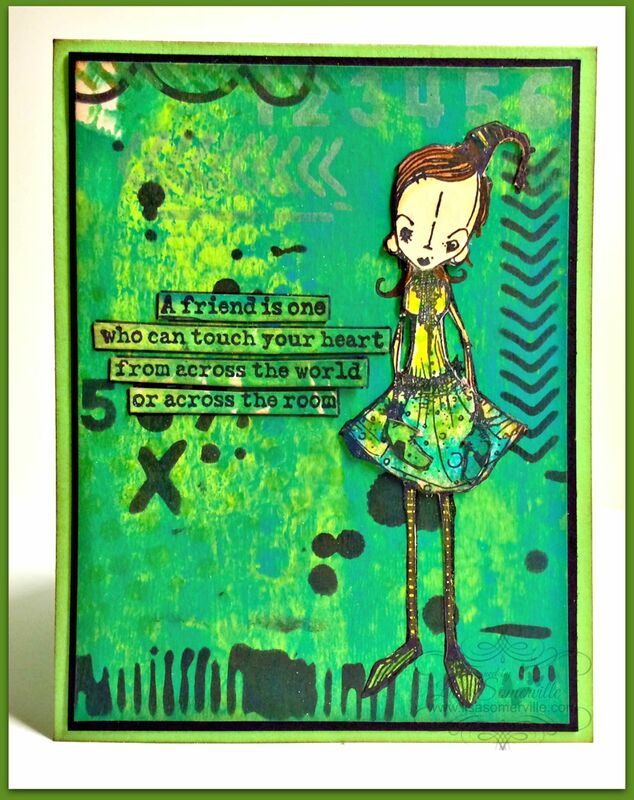 If you would like to play along with this weeks Bloggers Challenge, please link back to this post on your blog and mention you created your card for the Bloggers Challenge Stencil It Challenge. Please add your link using the Link Tool below, your link should be a direct link to your Bloggers Challenge Post, use your name as the Title. Please do not link to cards that were created prior to the challenge date. Entries not linking properly, or backlinked will be removed. If you have the captcha enabled on your blog, please consider turning it off, as it makes it so much easier to leave comments. Thanks for joining in with us at Stampotique this week. Well ain't she cute! Love the background and colors GF! I love your card! The background, sentiment, and image are fabulous!